If you want to use our beats you have to give credit to Valentine Beats by providing a link to our website (Beat by www.valentinebeats.com) and include ‘prod. by Valentine’ in the title of the song(s). Hip Hop Beats and Rap Instrumentals that you can download from our website ValentineBeats.com are delivered as low quality .mp3 files, limited to non-profit use and contain vocal protection tags. If you need untagged and high quality .wav files in order to use the beat instrumentals for profitable purposes, you must purchase a license first. Visit our How To Buy Beats page for more info on the different licensing options we offer or browse our Rap Beats Catalog to purchase a license. 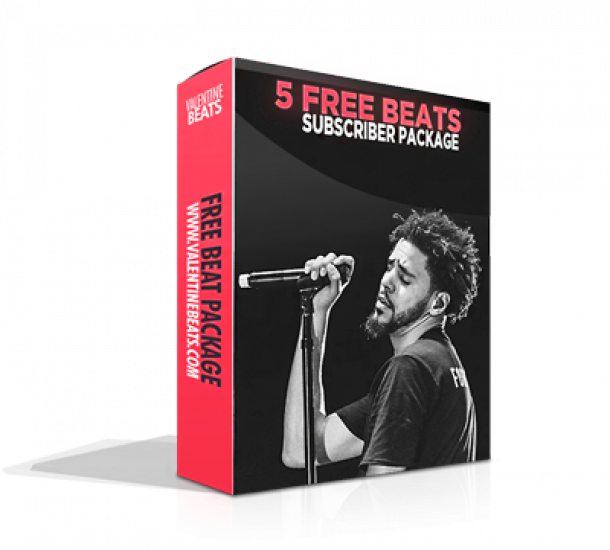 All licensing prices are at low and reasonable rates so that you can afford to buy our beats and record your songs to pursue a musical career. You can buy one of our Hip Hop Beats, Rap Instrumentals, Trap Beats, or Beats With Hooks starting at only $19.95 for the smallest license and you’re legally covered to sell your single or album, perform live shows and have your music video streamed on YouTube, Vimeo or Vevo. We are offering a free download option for our beats so you can check if your vocals work with our beats or if you want to showcase your skills and songs in non-profit projects. All you need to do in return is to provide a link to our website www.valentinebeats.com and to follow the simple rules listed below. Any commercial usage, profitable release or performance usage of our beat(s) is prohibited until you purchase a license on our website. Please visit our How To Buy Beats page for purchasing and licensing information.